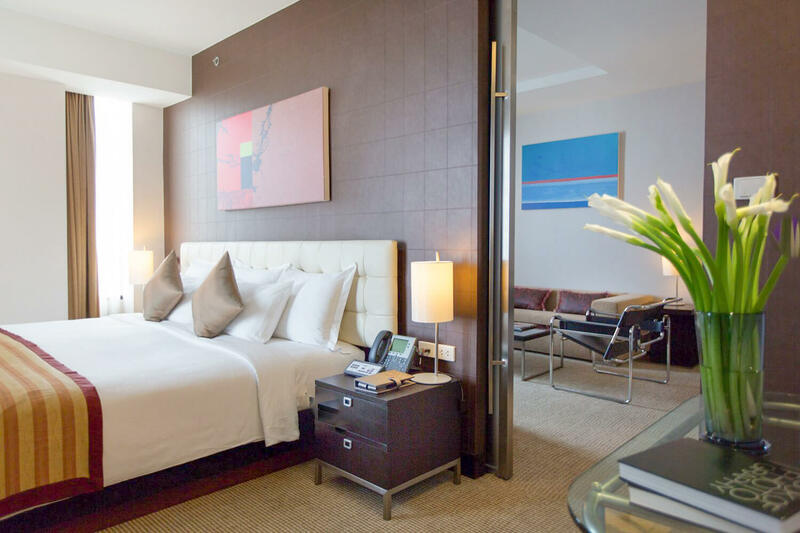 The AETAS bangkok’s Executive Suite are particularly suitable for couples, families, or associates visiting Bangkok and wishing to stay in elegant and spacious premises in the centre of the city’s shopping and business districts. 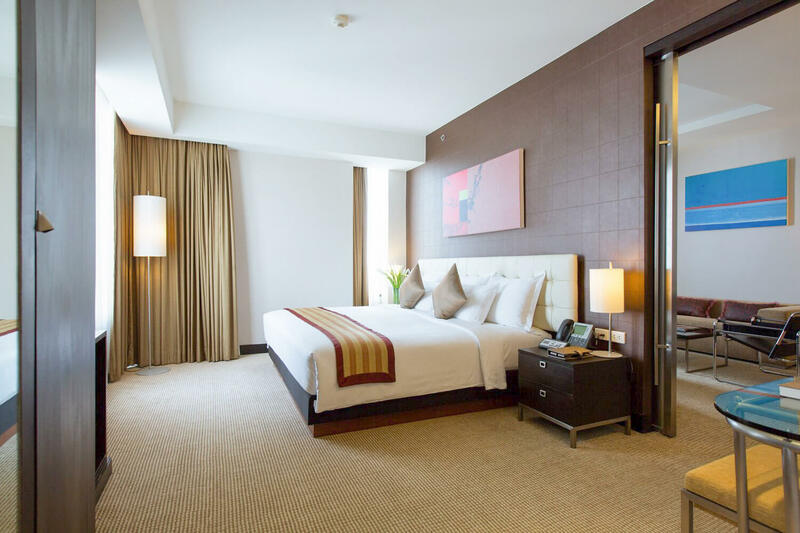 Each suite features a tastefully designed living room with subtly-patterned wallpaper, smooth carpets, and first-rate furniture. 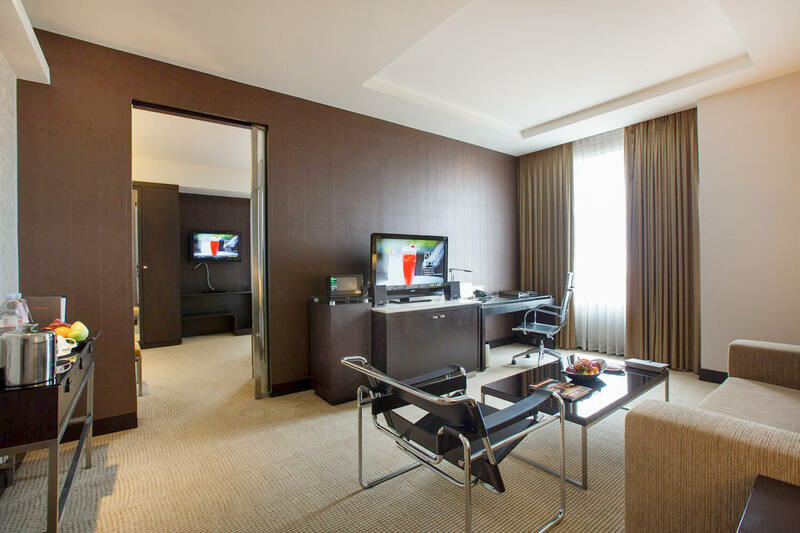 The large and comfortable work station is perfect for business-related activities while the comfortable sofa and armchairs are ideal for a restful evening watching satellite television on the large LCD screen. Rejuvenating sleep can be enjoyed in the trendy bedroom conveniently arranged with several roomy closets, a handy dresser, & very practical lighting. Contemporary dark wooden furniture adds a touch of class to the stylish setting. 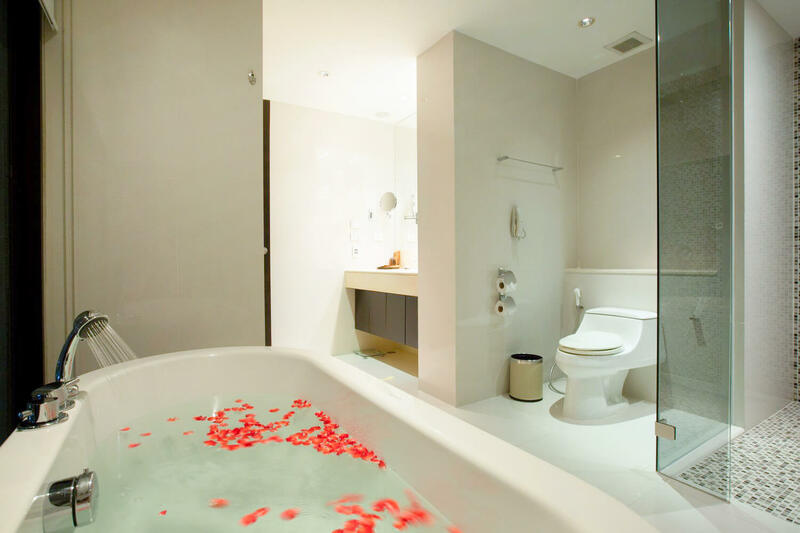 The bathrooms, some of them with a panoramic view of the city, feature separate shower compartments with adjustable jets and an additional washroom is located by the large entry hall.